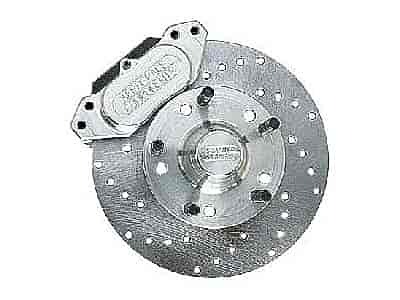 Aerospace Components 4 Piston Heavy Duty Front Drag Race Brake Kits are constructed out of the finest materials and are machined to the strictest standards. Billet aluminum calipers, hats, and brackets keep weight and E.T. 's low! Each kit is supplied with brake calipers, rotors, pads, and the necessary hardware for installation. As you upgrade your car to go faster, you need to upgrade your brakes to stop faster, too. That's where Aerospace comes in with these 4 Piston Heavy Duty Front Drag Race Brake Kits. Made in the U.S.A. Does Aerospace Components AC-240 fit your vehicle? to use this kit, will i need any other parts, master cylinder, proportioning valve? You will need a disc brake master cylinder to make this kit work properly.